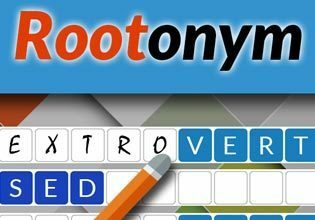 This addictive puzzle is the only root word association game of its kind and can be solved quickly. Given root words, short definitions, parts of speech and the number of letters in each word, players work to complete the missing word at two levels. Speed counts!